Yesterday we had marshmallows, hot chocolate and sang campfire songs in the school garden. We were the first class to use the fire pit at SMR! We had an amazing time singing our campfire songs like 'go bananas', 'what shall we do with a drunken sailor', and the 'worm' song. The fire was crackling, smoky and hot! We tried to make popcorn in Miss Brown Jackson's home made invention. It sort of worked but the popcorn got burnt so we will have to try again later. YES!!!! This week we have been creating our very own Tin Forest dance. Next Wednesday, we are going to Ashton Park secondary school to perform our dance to parents and several other local schools. In class, in groups we have been performing our moves. We have 2 different types of music for our dance and we are going to dress up as trees and the forest so we need to remember yellow and green T shirts and black shorts. This will be an awesome dance. Next Tuesday we are also going into the local woods around our school and sing camp fire songs and build dens! It is going to be an exciting learning week. Today, Jackie from Chartwells visited us to make delicious smoothies. Our smoothies did not have any added sugar because we wanted to make them healthy. We only used fresh fruit and vegetables like raspberries, strawberries, blueberries, blackberries, kiwi, melon, carrot and spinach. We worked in groups and created names for our smoothies e.g. 'berry delight' and 'fruity tooty smoothie'. We used a blender to mix and whizz up all the ingredients and added orange juice. Each group drank their own smoothies and they tasted amazing, sweet and nutritious. They were all amazing colours. We can not wait to try making smoothies at home!! By Sebastian, Isaac, Qayyim, Frank, Raph, Ava, Matilda and Audrey. We hope you all had a relaxing holiday and we are really looking forward to Term 3 and all the exciting learning that is going to happen this term. 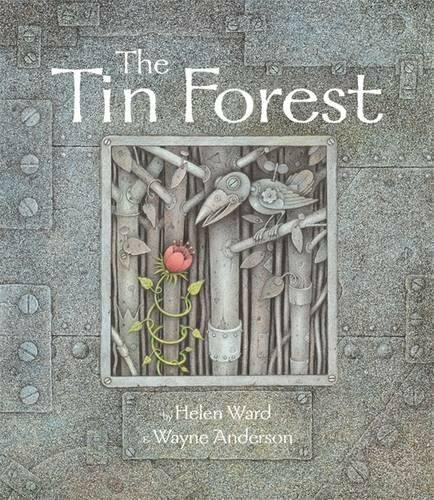 Our inspiration will come from a book 'The Tin Forest' which we will read to the children and is beautifully illustrated! If you are looking for inspiration for home learning then please take a look at our homework ideas page.